Founding company is one of the most proactive jobs in our life. However, it is also one of the most difficult jobs. In this presentation, we can briefly look around about venture company. Part 1 is an introduction. This part is composed of why founding company in Korea is difficult, and key words to success in venture company. The part is followed by part 2 which explains about examples of venture management; from start to exit. The example describes about how we can start company, how to raise money, how to go public and how we exit. Part 3 comments about our vision and mission. The mission and vision consist of product mission, company mission and personal mission. Part 4 is about management of company, especially about compensation, leadership and company culture. The next part is about finance. Here we can speculate the importance of finance plan and danger of debt. The final part shows how we can do exit. There are two kinds of exit which are IPO and M&A. Additionally, the company situation between capitalism and democracy is described briefly. In summary, founding company is worth trying not only for us but also for our society, even though we can face many kinds of dangerous situation. Sung Ho Wang received B.S. and M.S degree in Electronic Engineering from Yonsei University, Seoul, Korea and Ph.D. degree in Electrical Engineering from KAIST, Daejeon, Korea respectively. He joined LG Semiconductor which is now SK Hynix in 1991 and worked as semiconductor process designer and circuit designer. In 2003, he founded RadioPulse Inc. as a founder and worked as CEO and president until 2015. In 2015, The company was acquired by IXYS, a US based NASDAQ listed company. From 2015 to 2017, he was a general manager of IXYS RadioPulse. In October 2017, he founded another company which is Nemesis Co, Ltd. The business domain convers sensor interface circuit and signal processing. 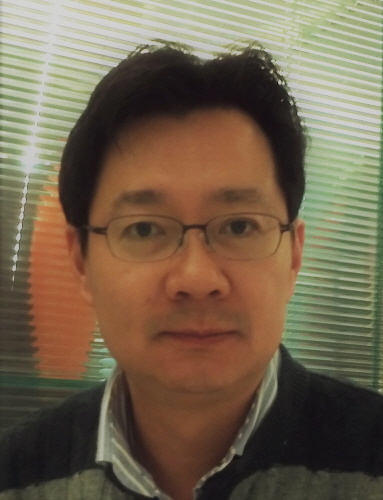 His technical background includes memory circuit design, DLL and high-speed analog interface circuit design, CMOS RF transceiver and power amplifier.